Kim Kardashian takes North West to the tennis courts... but plays in stiletto heels. 21. 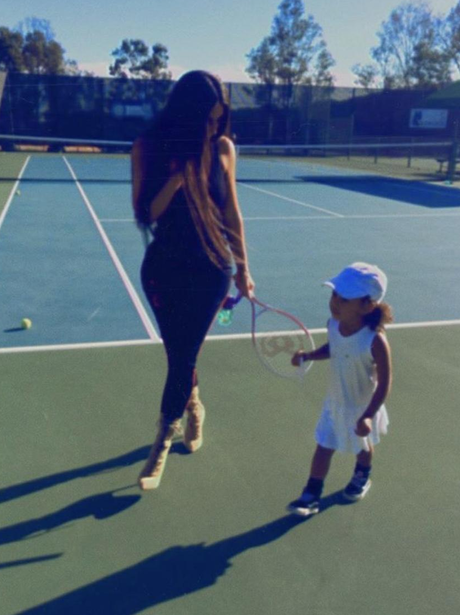 Kim Kardashian takes North West to the tennis courts... but plays in stiletto heels.